Do you know that Sunpride is a Cebuano-owned company? 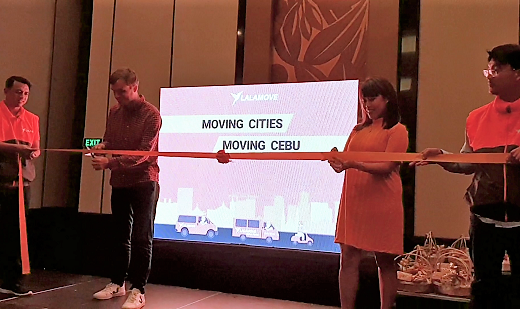 YES, it has been around Cebu for 47 years now, producing products such as hotdogs, sausages, bacon, and my favorites cooked and sweet ham, glazed ham and canned goods like corned beef. They also produce Holiday products like beef loaf canned goods, sausage and many more! 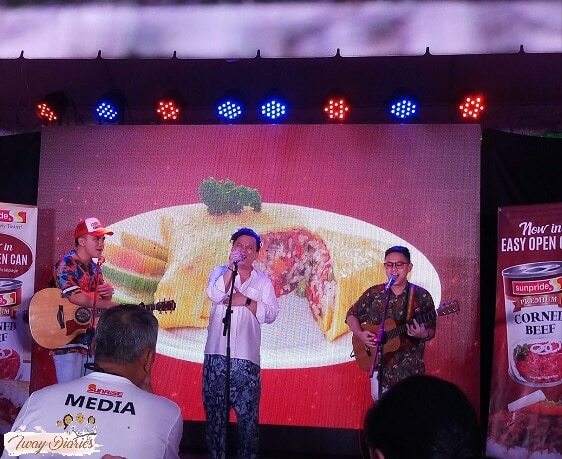 All these, I’ve learned during the Sunpride’s Launch of their very first EASY TO OPEN can product – the Premium Corned Beef, last November 17 at Sugbo Mercado, IT Park. First part of the event was a cooking demo for 2 easy recipes which you can cook in less than 15 minutes! 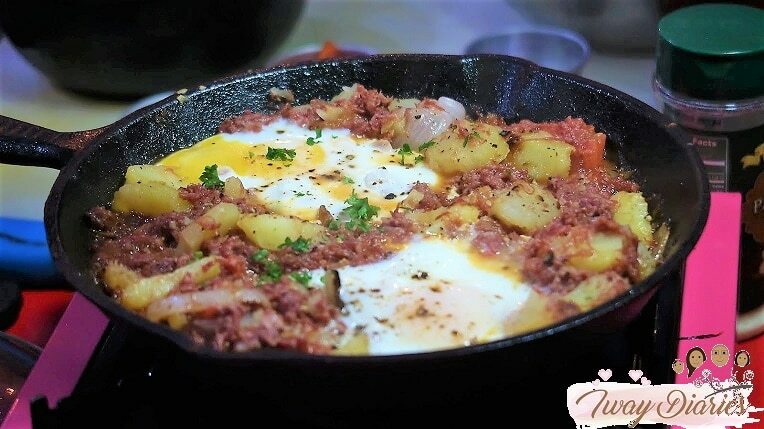 As a busy mom, I usually cook corned beef with potato and corned beef with egg for breakfast, who would have thought one can cook all three at once into one tasty dish?! And it’s perfect not only for breakfast but any meal of the day! 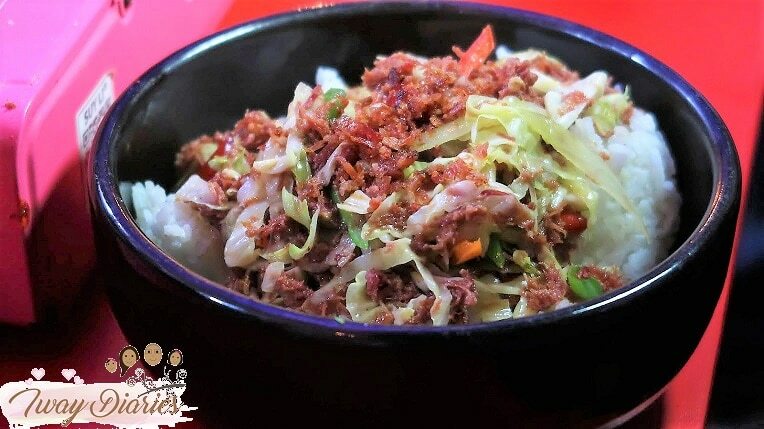 From the demo, I also liked the idea of mixing corned beef with vegetables to make it healthier and then savour as rice toppings! Just look at the dishes below, looking delicious and meaty. It was only the first part of the event and I already felt very hungry! 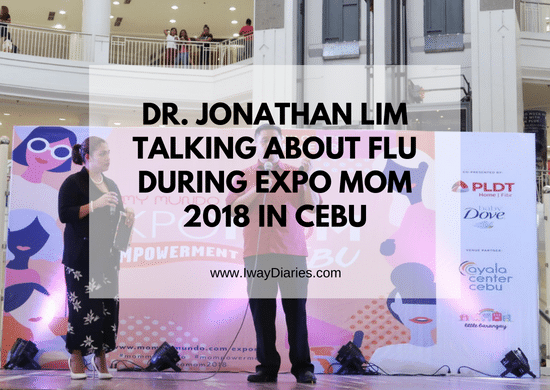 Minutes later, I and other Cebu Bloggers were already enjoying delicious food selection in buffet style, while the famous band Wonggoys was serenading us all. Now let’s talk about their Corned Beef. 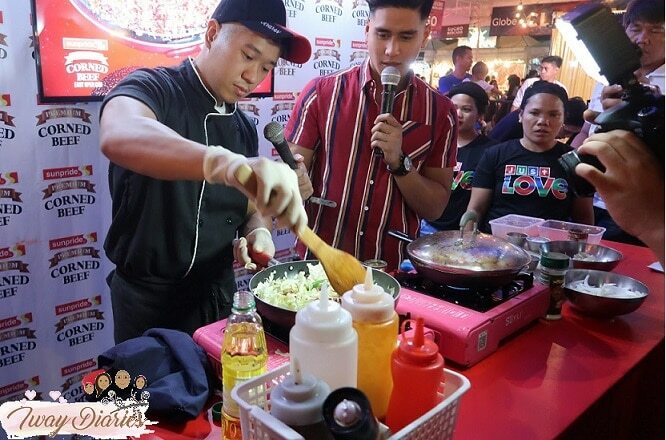 During the launch, Mr. Hanley Wong, Marketing Manager of Sunpride Foods, Inc., emphasized, that Sunpride Premium Corned beef has no extenders, it’s made of pure beef meat kaya every bite is so tasty, meaty, beefy, for a budget-friendly price. 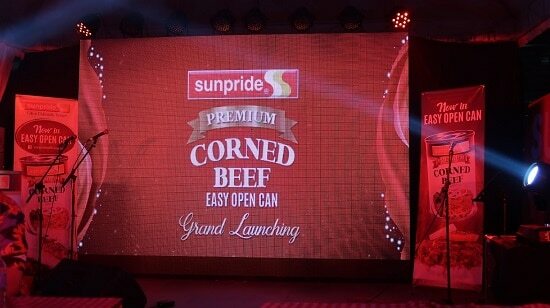 And because Sunpride wants to have everyone convenience when opening the can, they now made Sunpride Premium Corned beef available in EASY to open can. From supermarket shelves or kitchen shelves, all of us can now have a taste of their corned beef without using can openers, sobrang dali na lang! 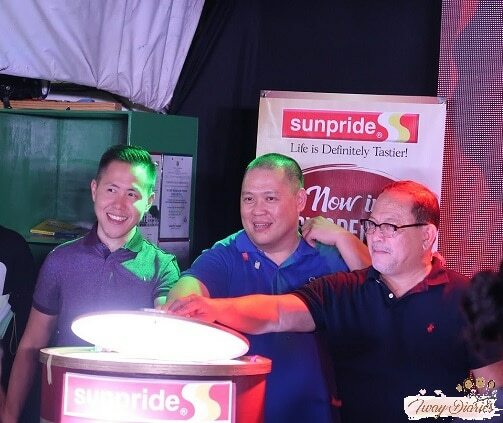 There was a big can in the event and joining Mr.Wong in the can opening were Mr, Henry Dy – Vice President of Sunpride Foods, Inc. and Mr. Felipe Alesna – National Sales Manager. Last part of the event, bloggers and guests participated in the games such as corned beef eating contest and stacking of cans. 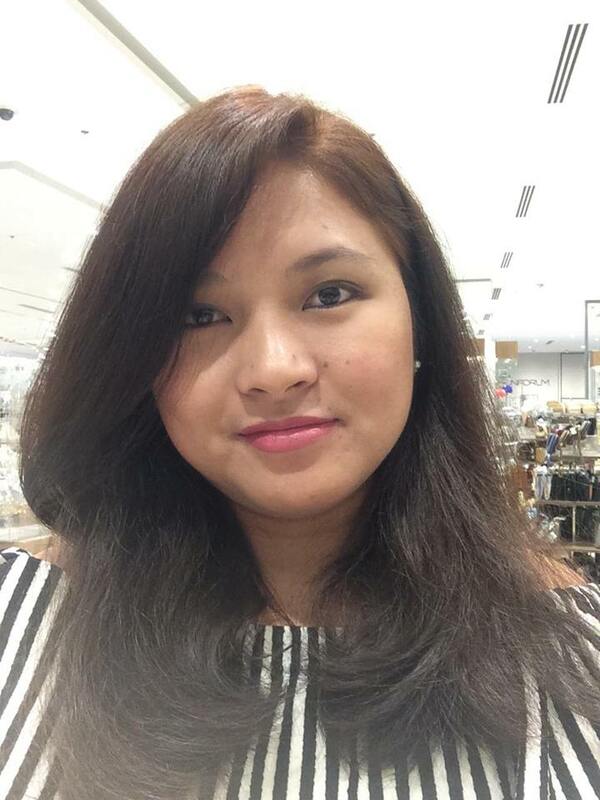 Everyone had fun, it was indeed a successful event, congratulations Sunpride Foods, Inc.!